The first Uganda Airlines' Bombardier CRJ900 jet will arrive two weeks from now, Mr Don Wanyama, the senior presidential press secretary said on Monday. Mr Wanyama said the first Bombardier jetliner will be delivered on April 23, 2019. "On 23rd April towards 3pm, look up in the skies. You will see this bird making its way to Entebbe. The first of Uganda Airlines' Bombardier CRJ900 will touch down at Entebbe International Airport at 3pm. It will mark the official revival of the national flag carrier," Mr Wanyama shared on his social media platforms. In a statement dated April 3, 2019, Airbus said Uganda Airlines, the national carrier of Uganda had firmed up its order for two A330-800 airlines, the latest version of the most popular A330 wide body airliner. "Fitted with the new airspace cabin, the A330neo will bring a range of benefits to Uganda Airlines and its customers, offering unrivalled efficiencies combined with the most modern cabin. Uganda Airlines plans to use the A330-800 to its medium and long haul network with the aircraft offering cutting-edge technology along with more efficient operations," reads the Airbus statement in part. On April 4, Uganda Airlines‏ presented its Chief Pilot, Captain Michael Etiang. He will be in charge of ensuring all pilots are trained and are current with their competency and skillset. This comes after Parliament, on March 29, cleared the government to buy two Bombardier planes at Shs280 billion. The money was meant for the final measures of restoring the national carrier. 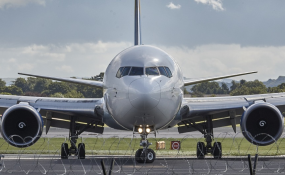 Parliament, however, set tough conditions for government including the transfer of management of the national airline to the Uganda Development Corporation (UDC) and the disbanding of the airline's interim Board of Directors by the end of April 2019. The conditions were set by the House Committee on Budget chaired by Ntenjeru North MP Amos Lugoloobi.